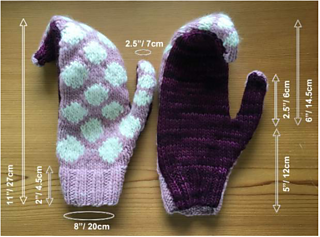 One size, 8”(20cm) around the palm and 11”(27cm) long, with the length of the mitten extending well beyond the fingertips of an average adult hand. 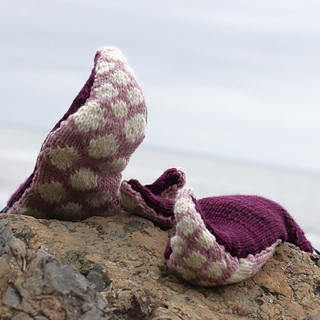 I like to imagine these mitts catching people-watchers off guard, wrapped around a hot cup of take out coffee at the bus stop or grasping a leash at the dog park. That’s right folks, the tentacled ones have infiltrated your ‘hood! 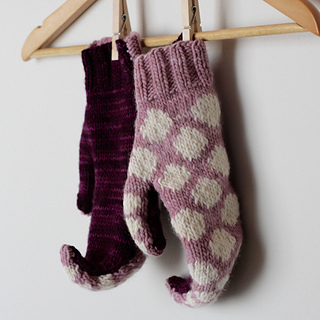 Each Cephalopod Mitt is knit flat, with the back side in a solid colour and stranded colourwork on the palm. 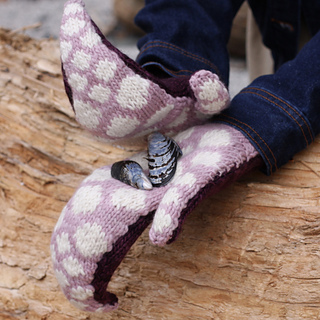 The pieces are sewn together to create a curve over and off the fingertips. 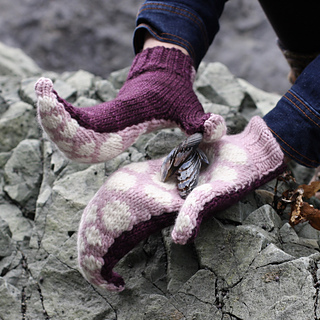 The mitts are one size, 8”(20cm) around the palm and 11”(27cm) long, with the length of the mitten extending well beyond the fingertips of an average octopus adult hand. US 7 (4.5 mm) knitting needles (or size needed to obtain gauge), US 6 (4 mm) knitting needles (or 1 size smaller than needle used to obtain gauge), straight pins, tapestry needle. 18 sts/26 rows over 4” (10cm) in stockinette stitch with larger needles.